The plaque to the left is sadly veiled by the modern fire escape. During the Civil War 5th Avenue below 23rd Street was still a dignified residential neighborhood of broad brownstone mansions. Among them was No. 144, a four-story Italianate home above a high English basement. Like its neighbors, it had a wide brownstone stoop to the right that led to the parlor floor. But times change, especially in New York City, and by the mid-1870s more and more wealthy homeowners fled the encroaching commercialism of lower Fifth Avenue. The elegant residences were either razed or craftily converted for business purposes. In 1877 No. 144 was one of the first in the immediate neighborhood to be converted. The stoop was removed and a street level retail space was created where the English basement had been. At the second floor cast iron pilasters were installed to facilitate wide showroom windows. The architect bothered himself with less reconstruction on each succeeding floor, until the upper two floors were barely touched at all—including the handsome bracketed cornice. The top two floors retain their residential character. While the overall renovation was somewhat slap-dash, resulting in a questionable architectural patchwork; at what was now the third floor the architect added a remarkable touch. Flanked by two not-so-interesting cast iron pilasters, the three windows at this level retained their egg-and-dart brownstone framing. Between them two marvelous cast iron panels were inserted that announce the address. To the south, in whimsical 1870s lettering is ONE HUNDRED FORTY FOUR; and to the north in a matching shield, FIFTH AVENUE NEW YORK. Most likely they were originally painted in multiple, contrasting colors. Design-wise they were up-to-the-minute and defied the formality of a generation earlier. The commercial interests that elbowed their way onto lower Fifth Avenue paid deference to the upscale tradition of the area. Stores that opened in the 1870s were high-end and respectable. And so it was with No. 144. On March 1, 1877 The New York Times reported on the opening of Cottier & Co., an exclusive interior decorating firm and art gallery owned by Daniel Cottier and James S. Ingles.. The shop had been the scene of a reception the night before, where the reporter had seen “all sorts of beautiful stuffs for household decoration, stained glass, furniture and bric-a-brac.” But he was most taken with the artwork. A gallery was located to the rear of the first floor where a large landscape painting by Daubigny hung. 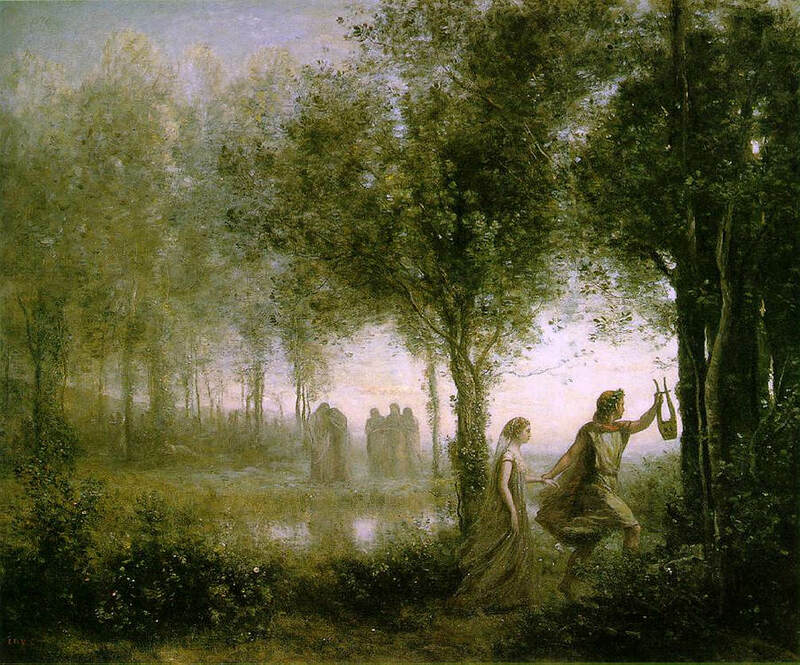 There was also a work by Corot depicting Orpheus which the writer deemed “probably the largest picture he ever painted.” Other artists represented in the room were Rousseau, Millet, Boks and DeBeck. Despite the condition of 5th Avenue, Cottier & Co. continued manufacturing and importing high-end items and displaying masterful artwork. Its factory and workshop, located at No. 233 West 28th Street, employed 100 skilled laborers where cabinetmakers and stained glass artisans created furniture and objets ‘art. On April 5, 1891 the 53-year old Daniel Cottier died. The New York Times praised his support of young native artists at a time when there was a general indifference to American art. “Probably no one who has sold foreign pictures in New-York,” said the newspaper, “has helped so many young American artists as he.” At the same time, however, he was responsible for importing some of the most important old masters into the country. “Some of the finest Rembrandts owned in the United States are due to his remarkable taste,” the newspaper said. His remarkable taste did not help the sale of the large Corot “Orpheus,” which still hung in No. 144 5th Avenue after fifteen years. A year later, in February 1892, “Orpheus” was shipped to Paris to be sold as part of the settlement of Cottier’s estate. Another large Corot, “Diana” arrived to take its place in the 5th Avenue showroom now run solely by James Ingles. All the while that Cottier & Co. was selling furniture, bronzes and artworks in the first and second floor, the top two floors remained residential while the third floor was leased as offices. In December 1897 The New York Branch of the Guild of St. Barnabas for Nurses opened its permanent headquarters here. The guild was a national organization within the Episcopal Church and had about 300 members in New York. The office in No. 144 would provide a central registration office for the nurses. Here, too, nurses were offered services such as help in finding room and board and other. When members from other cities were in New York they were to drop by “for rest, reception of mail, and as a general information bureau,” as noted in Nursing World that year. Meanwhile, on the top floors was the somewhat eccentric but talented naturalist, artist and author, Ernest Seton-Thompson and his wife. Thompson was a vice-president of the League of American Sportsmen and secretary of the Audubon Societies for the Protection of Wild Birds and Animals. Seton-Thompson wrote nature books such as “Wild Animals I Have Known,” “The Trail of the Sandhill Stag,” and “The Biography of a Grizzly,” and executed over 1,000 illustrations for the “Century Dictionary.” He maintained his residence and studio here. One problem in tracing the Englishman who had no interest in becoming an American citizen was in keeping his name straight. By the turn of the century he was calling himself Ernest Thompson Seton, rather than Seton-Thompson, and his illustrations bore the initials E.E.T.S. for Ernest E. T. Seton. Even the Seton’s dining room doubled as a makeshift exhibition hall with artifacts such as swords lining the walls. The hides of mink, bear and doe in question were seized at the office of a taxidermist. They were packed in a box ready to be shipped to Seton in New York. By 1910 Cottier & Co. was gone and Berman & Star signed a 10-year lease on the store and basement for about $5,600 a year. Quickly the upper floors, including the top two where the Setons lived, were taken over by clothing firms. In 1911 the fourth floor was leased to Huber Kratter & Speigel and the second floor to Samuel Sundberg. The 10-year lease signed by Berman & Star lasted only four years and in 1914 the store and basement became home to Nathan Ramet, stationer, “for a long term of years,” according to The Sun. Upstairs small apparel firms like the Fifth Avenue Dress Company and Rudolph & Silberstein still filled the loft spaces. By the middle of the 20th century any hint that No. 144 5th Avenue had once housed one of the city’s most exclusive decorating and art firms was long gone. But there, three floors above the sidewalk, the remarkable cast iron street address plaques still remained. Other than the ground floor and an unsightly fire escape that mars the facade, the converted house at No. 144 5th Avenue looks much as it did in 1877. Yet even the surviving top-most floors do not rescue the building from being at best unexceptional. But if the structure is unexceptional, the astounding cast iron plaques at the third floor certainly are. Completely overlooked by nearly everyone who passes by, they are among the most unique architectural metalwork in the city—superb examples of Victorian taste and design trends in the 1870s. non-credited photographs taken by the author.